The APA Award for Distinguished Scientific Contributions is awarded to psychologists who have made distinguished theoretical or empirical contributions to basic research in psychology. Past awardees included Dr. Carl Rogers in 1956, Dr. Harry Harlow in 1960, Dr. Albert Bandura in 1980, Dr. Naom Chomsky in 1984, and Dr. Peter Lang in 1993, among many other renown psychologists. This year Dr. Edna Foa is the recipient of the award. 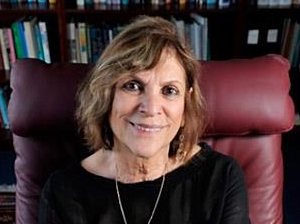 Dr. Foa is one of the world’s great clinical psychologists who has contributed immensely to theory and clinical practice over the course of her many decades-long career. Her contributions to the field of anxiety disorders are widely recognized and she is one of this nation’s major contributors to the study of psychological trauma and post traumatic stress disorder (PTSD). Largely known for her contributions as a result of numerous outstanding clinical trials, Dr. Foa’s contributions to theory and methods are also widely recognized in the field. Examples include her highly cited Psychological Bulletin article with Dr. Michael Kozak that extrapolated Dr. Peter Lang’s theory of psychopathology to anxiety disorders while highlighting important treatment implications, as well as her paper with Dr. Elisabeth Meadows on methodological gold standards for conducting clinical trials, which influenced the scientific conduct of many, many clinical trials examining psychological treatments for prevalent and disabling psychological disorders. In the area of PTSD, Dr. Foa’s voluminous contributions to clinical trials led to her being named as one of Time’s 100 Most Influential People in 2010, a remarkable achievement for a clinical psychologist. Among other achievements include the Lifetime Achievement Award from the International Society for Traumatic Stress Studies (ISTSS), as well as recognitions from the Association for Behavioral and Cognitive Therapy (ABCT). It is rare enough that an individual makes significant contributions to one area of psychology, let alone many — besides PTSD she has contributed greatly to our understanding of Obsessive-Compulsive Disorder (OCD), Panic Disorder, and Social Anxiety Disorder. Few individuals’ work cuts across so many different areas and conditions and rarely are these contributions completed with the scientific rigor and theoretical relevance that Dr. Foa brings to her tasks. Please join us in celebrating Dr. Foa in accepting this remarkable honor.